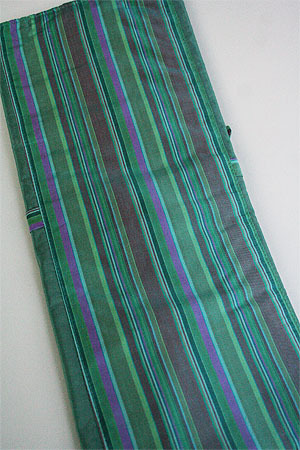 Della Q's beautiful knitting needle organizer in shantung striped silk. 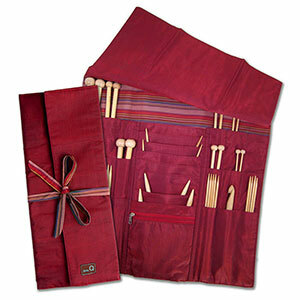 This Tri fold silk needle and tool case provides space for 18 straight needles and nine circular and is GREat for Traveling - and it makes a great gift! (Stuff it with needles for the Holidays!) Includes a small zip pouch for markers, etc. Tie closure - and metric as well as US sizing.